Ever notice how good you feel -- mentally -- when you're practicing yoga regularly? Yoga teacher and licensed psychotherapist Ashley Turner, who is launching a groundbreaking new Yoga Psychology 300-hour advanced yoga teacher training next month, says yoga is the key to psychological and emotional healing as well as resolving issues with self-confidence, relationships, family of origin issues, and more. "Yoga is a psychology -- the whole practice helps us work with the nature of the mind, the nature of being a human, how emotions live in our bodies, how they affect our behavior and our minds," says Turner, who reveals that yoga helped her recognize and cope with her own low self-esteem. "This course is reclaiming the deeper roots of the practice, not just asana -- the mental and emotional benefits." 2. It helps you build your sense of self. Through yoga, you get to know yourself and cultivate a more nonjudgmental relationship with yourself. You are building self-trust. You exercise more and eat healthier, because your unconscious mind tells you, "I'm worthy of this me time, this effort." At the end of the day, everything comes down to your relationship with yourself. When you get more confident and become more rooted in your sense of self and your center, you develop a healthy, balanced ego, where you have nothing to prove and nothing to hide. You become courageous, with high willpower. You're not afraid of difficult conversations -- you know you're still going to be OK at the end of the day. 3. It improves your romantic relationship. When you're more centered and more peaceful with yourself, you'll be the same way with your partner -- you'll view them through the same lens of compassionate, unconditional love. You're less reactive -- for example, you may know that snapping at your partner is not a wise choice. 4. It helps you become aware of your "shadow" qualities. 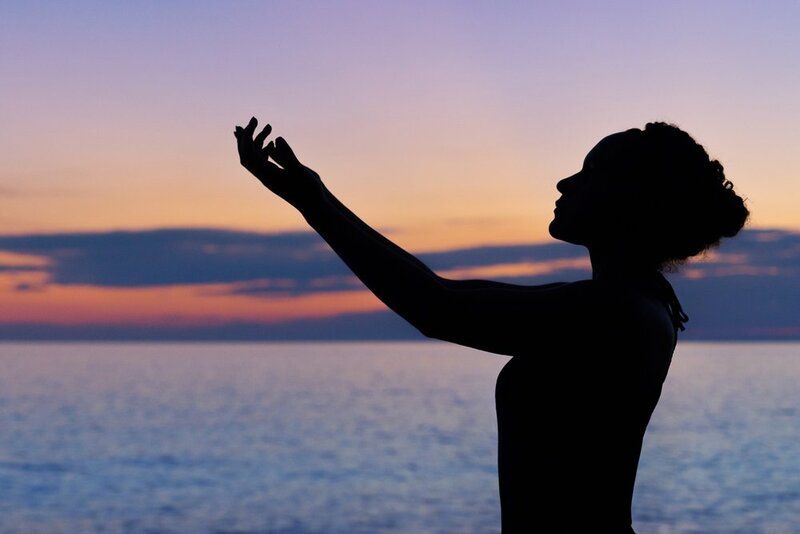 The yoking of solar and lunar (light and dark) in yoga makes us recognize qualities in ourselves that we were not aware of, helping us be more mindful. A lot of my work centers on the shadow concept from Carl Jung. How do we look at those places in our bodies where we hold tension, tightness, knots of energy? That's typically where we are holding our psychological or emotional energy. We work from the outside in, so asana is so important. A backbend will open your heart and release the stiffness between the shoulder blades -- at some point, you will have some sort of emotional release, which you may or may not be conscious of. It's about doing the inner work to shift or change and be open to doing your best with your weaknesses and faults. 5. It helps you deal with family of origin issues. Essentially that's our karma -- we can’t give back our family, we're born into it and that's what you get. It's about owning what I call sacred wounds (rather than blaming) and taking them on more mindfully. You’re the only one that can change -- the only thing you can do is control your actions and your behavior. Other people will inevitably be forced to show up in a different way you’re showing up in a different way. Think of the Warrior poses -- yoga helps you rise up and do your best.